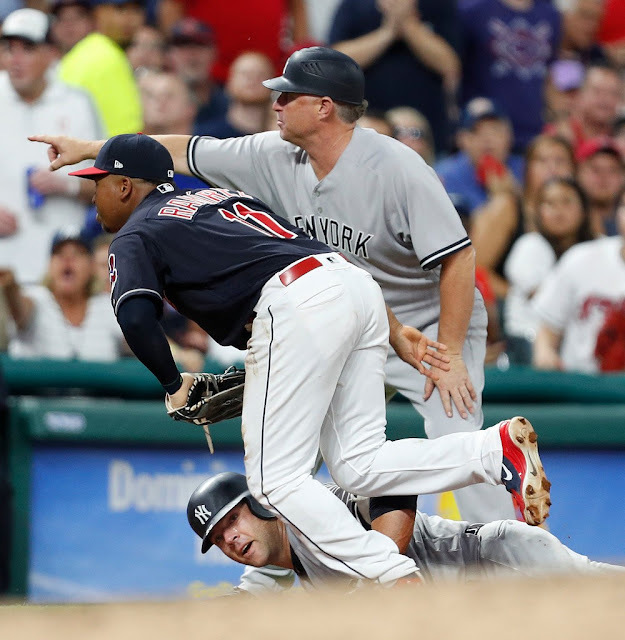 The Indians chipped away at the Yankees’ lead, tying the game at four in the bottom of the sixth when Brandon Guyer, who entered the game with a .162 batting average, hit a two-out infield single to third to score runners at second and third. 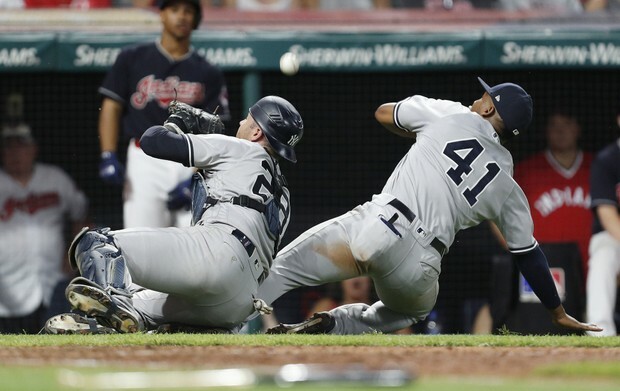 Miguel Andujar's wide throw pulled Greg Bird off the bag at first to allow Guyer to reach base safely and Bird’s subsequent throw home glanced off the glove of Austin Romine, allowing the second and tying run to score. The hit chased Sabathia, but David Robertson came in to restore order. He walked the first batter he faced but then struck out Yan Gomes to end the inning. 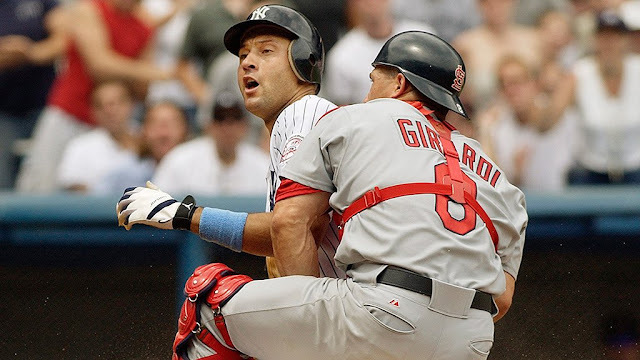 The ninth inning was filled with a bit of drama. 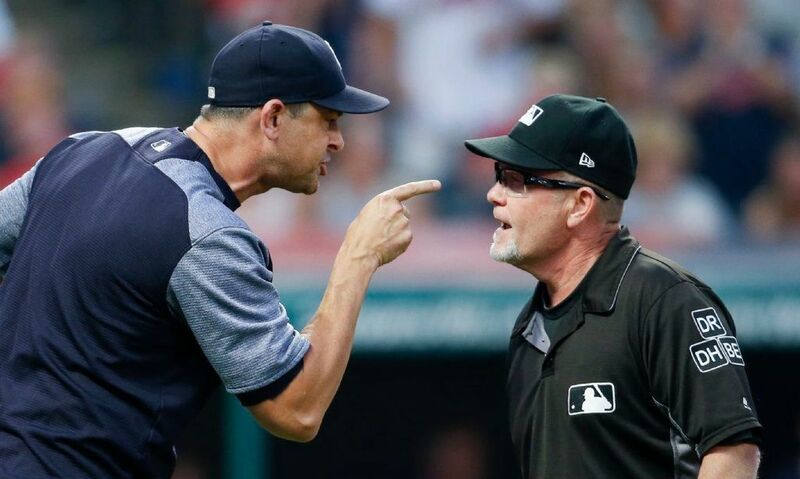 It started when Brandon Guyer led off the bottom of the inning with a pop up in foul territory. 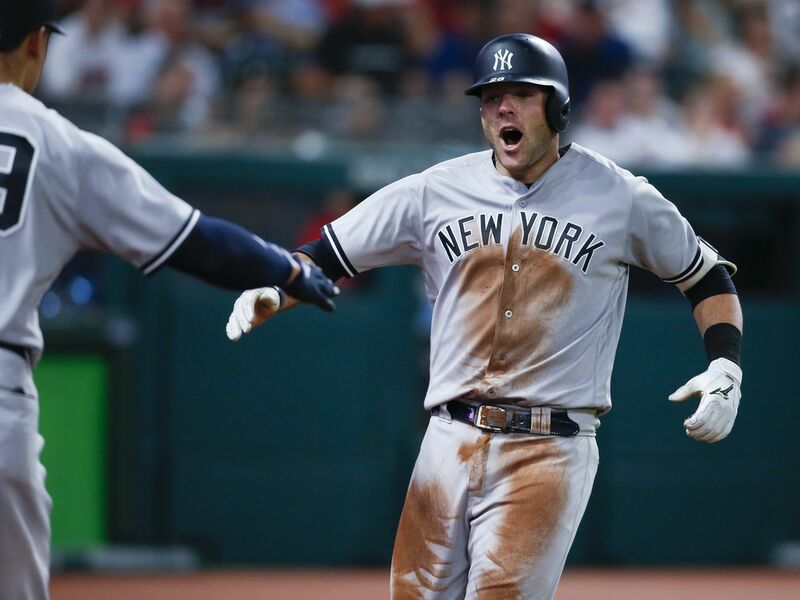 Austin Romine went back for the ball and Miguel Andujar came charging in and neither player came up with the ball, with an error charged on Andujar. It looked like it should have been Romine’s ball but the ball drifted toward Andjuar who couldn't get out of the way.